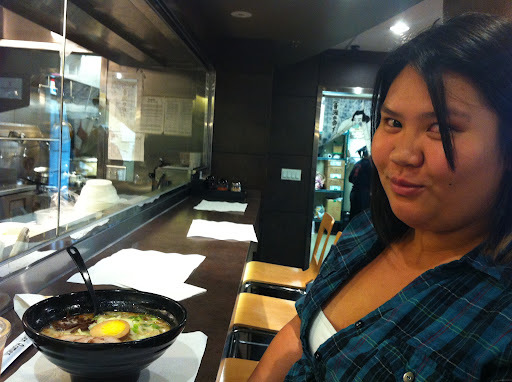 My buddy, Angie, has heard tall tales of my ramen runs and is a devout follower of the blog. 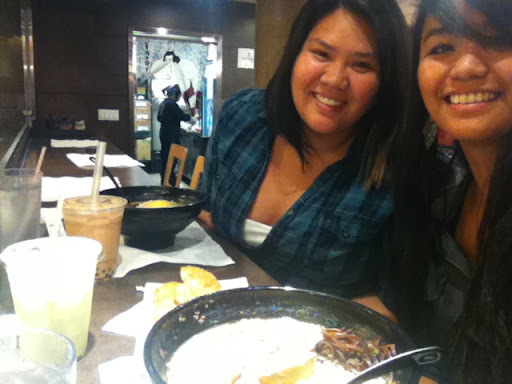 We finally found time to get ramen together after mass, so I took her to Ajisen in Rowland Heights. Ajisen seemed like a great place to take Angie for her first ramen. The restaurant has a really fun and modern vibe, and usually they have cute boys working there. Unfortunately, there were no eye candy that night. 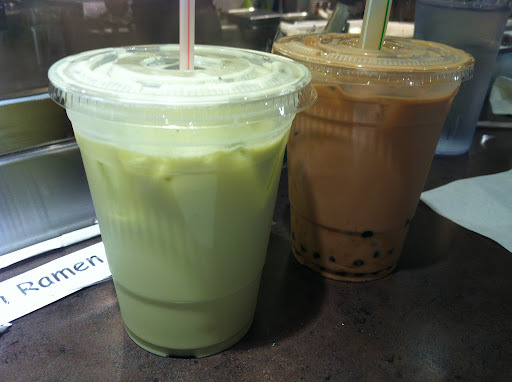 Angie is a big boba buff, so we ordered boba drinks to make up for the lack of eye candy. First time I ever got to sit at the bar! Since this was Angie’s first ramen experience, I suggested the Ajisen ramen to her, which was the basic pork broth, with a few slices of chashu, green onions, flavored egg, cabbage, and seaweed. I ordered the B.B.Q. 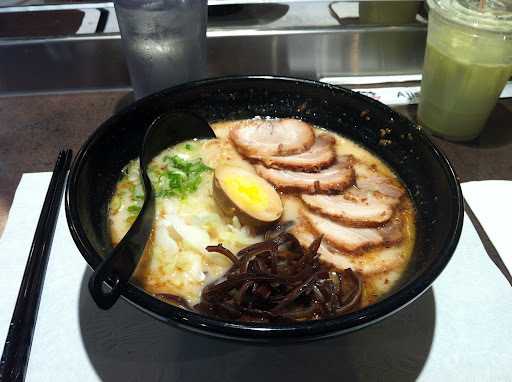 Pork Ramen, which was not too different from the Ajisen, other than the marinated pork. 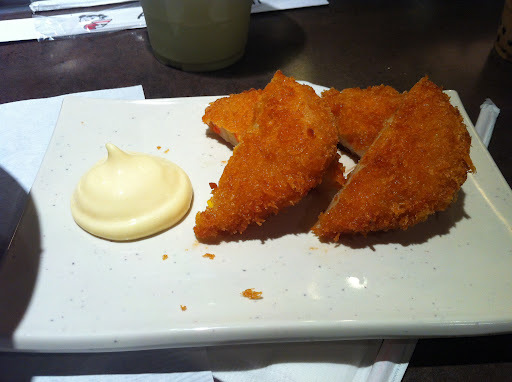 We also shared some croquettes and fried chicken. I’m glad she enjoyed her ramen! The more I go on ramen runs, the more I can recognize if food has MSG. Although I enjoyed my ramen, it definitely had MSG. My face became swollen and numb and my right pant leg felt really tight after dinner. 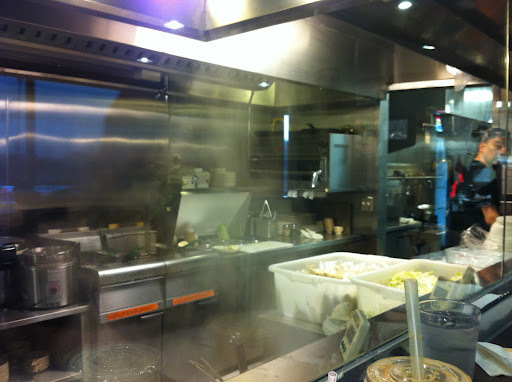 I wouldn’t discourage anyone to have ramen at Ajisen, but if you don’t react well to MSG, avoid finishing up your broth. After ramen, we wandered off into a Target in San Dimas. Yeah, that was random. But we had a nice time, chatting about Filipino families, silly boys, and toothbrushes. Then I abandoned her with a random boy from South Africa. That was exactly how the night ended.